Don Tapscott, meet Denzil Minnan-Wong. One of you is a visionary. The other, Toronto’s deputy mayor. Jane Jacobs, meet George Mammoliti. One of you is a visionary. The other, a Toronto city councillor. Mr. Tapscott was not at the debate at City Hall last Thursday, possibly because he was writing his front-page piece in Saturday’s Star on how Toronto and Canada can lead the world in a time of transformation. Nor was Ms. Jacobs there because she died in 2006, though she was no doubt smiling down on the celebrations in her memory this week for turning cities away from cars and returning them to people. But if they had been there, they would have found the debate on whether Toronto should have a pilot project this summer to install a dedicated bicycle lane along Bloor West from Shaw St. to Avenue Rd. … positively cringeworthy. Hmm. Surely, if it is a war, it’s a David and Goliath one, and we know who the giant is. There were also dark references to “the all-powerful bicycle lobby.” That’s like saying “the all-powerful women-of-colour lobby” or “the all-powerful green energy lobby.” Worse still, saying this insults the truly all-powerful automobile lobby. I had visions of thugs on bikes looting stores and roughing up their owners because they dared to speak out against dedicated bike lanes. But the paranoia of both the deputy mayor and the councillor runs deeper than even that. For councillor Mammoliti, this is a class war, between the hard-working honest folks from the suburbs and the effete selfish folks who live downtown. Why else would he have said this? That’s it. Downtown people like me who want to ride our bikes more safely than we do now where most bike lanes are just some painted arrows on the road, well, of course, we’re doing this in order to keep people from the suburbs out. While the Bloor St. bike lane is a pilot project, this isn’t the first time dedicated lanes have been piloted. And the result? 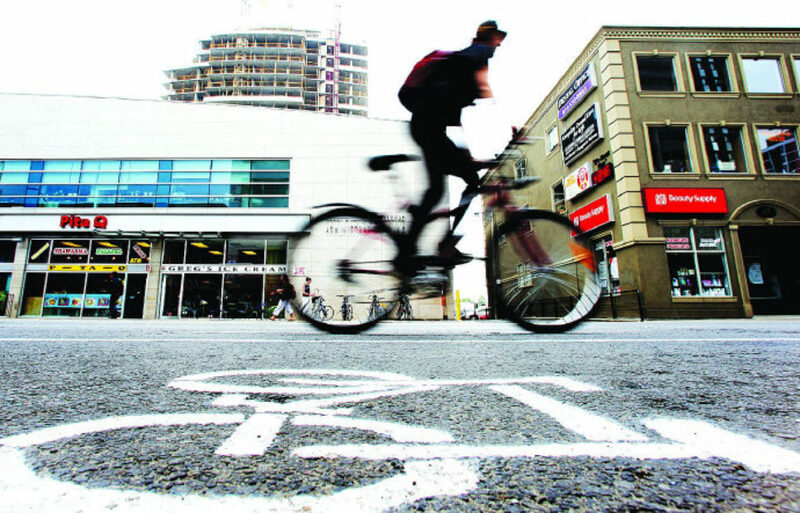 Before it was a dedicated lane, the route along Queens Quay had 6,000 bicyclists a day. Afterwards, 10,000 a day. Adelaide went from 500 a day to 1,300, and Sherbourne went from 1,000 a day to 3,500 a day. Even Gerrard, which doesn’t have dedicated bike lanes, has more bicycles than cars heading home from work in the afternoon. Because more people want to ride their bikes downtown. Because in other cities, even cities bigger than Toronto, like New York, dedicated bike lanes not only significantly improve safety, they improve business for local merchants. But for Denzil Minnan-Wong, this is not what Toronto needs. I don’t see why not. After all, New York City built 400 miles of new bike lanes during Michael Bloomberg’s tenure as mayor. That’s a little farther than the distance between New York and Toronto. 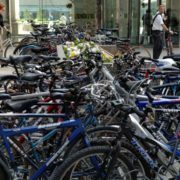 Maybe now’s the time for the all-powerful bike lobby to talk to Mr. Tapscott. If Can content is your thing, then you must head to this Newfoundland festi... Where else can you buy your way onto a war memorial?